Bakkenist’s people have proven their qualities as organisational advisors and managers at the direction level of many professional companies, the government and health care organisations. The combined strengths of all these professionals are what make Bakkenist special, perhaps even unique. Together, we are able to offer advice, realise large-scale projects and programmes and temporarily assume leadership of an organisation or a part thereof. The directors are responsible for the day-to-day management of Bakkenist. Bakkenist is supported by the Advisory Board, which plays a general advisory role and offers relevant advice pertaining to a variety of issues. Joop Sistermans is a former member of the Group Council and Executive Vice President of Akzo Nobel, responsible for Strategy and Technology. At the moment, Sistermans serves as chairman of the Advisory Board for the Advisory Council for Science, Technology and Innovation (AWTI). He holds ancillary positions at the National Innovation Platform, the Strategic Advisory Committee for the Ministry of Economic Affairs, and the Supervisory Board for the University of Twente, and he is chairman of the Supervisory Board for the STG/Health Management Forum. Kees van Hee studied mathematics at Leiden University and earned his PhD at TU/e. Throughout his career he worked as management and IT consultant and as a professor in Informatics. Between 1994 and 2004, he was a Managing Partner at Bakkenist Management Consultants and Deloitte Consultancy. In 1991-1992, he was a guest lecturer at the University of Waterloo in Ontario. Between 1984 and 1994 and since 2004 he has worked as a professor of Informatics at the TU/e. Cees Pannekoek has over 45 years of experience in the fields of telecommunication and IT. 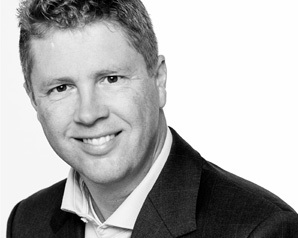 He has held a number of technical and commercial positions at KPN, Ericsson and Vodafone. His focus in these positions was always on technological and commercial innovation. He was directly involved with the liberalisation of the telecom industry. He was a co-founder of Libertel (now Vodafone). At the moment, Pannekoek mainly focuses on simulating and supervising newly founded organisations in the IT industry.